An extrem chic transparency for this luminous stripe ! 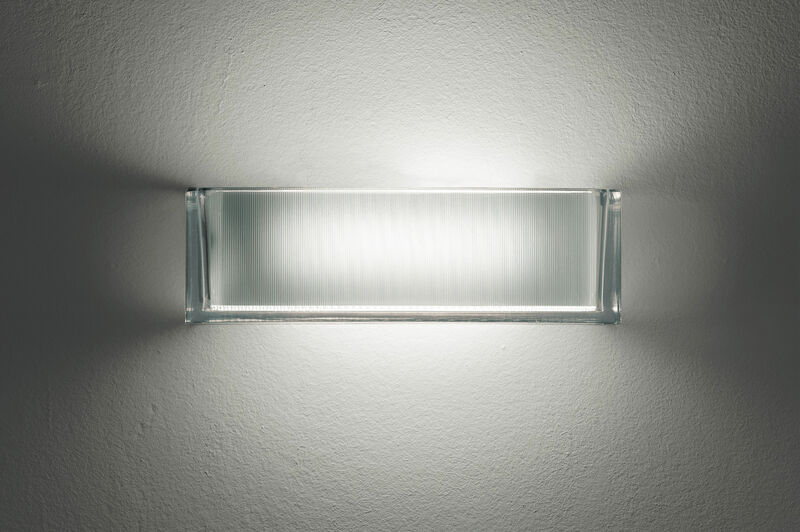 The wall lamp Ontherocks diffuses a direct and indirect light that escapes from the body made in transparent molded glass. 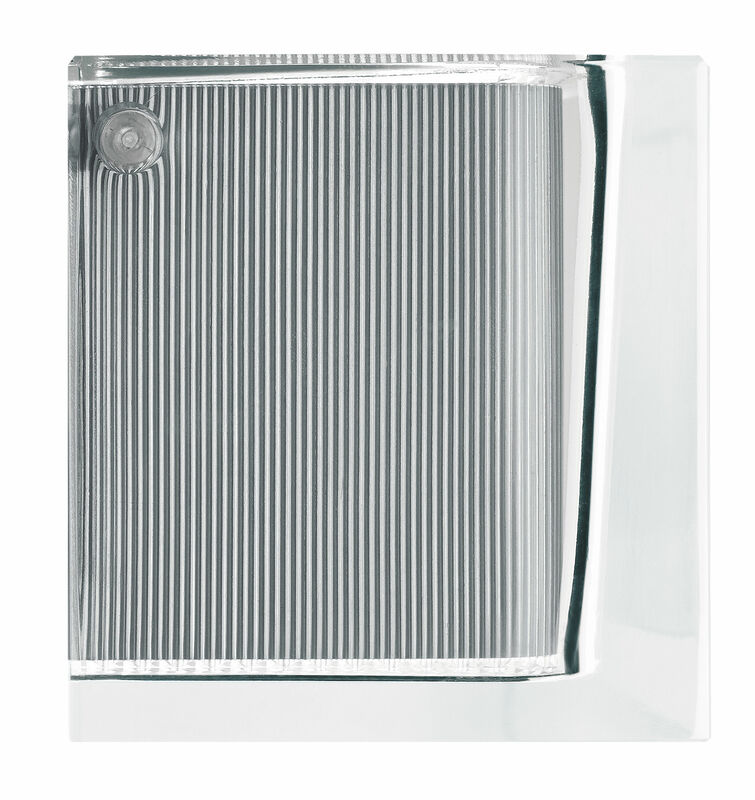 The interior diffuser, also made of transparent glass molded, possesses an internal aluminium face.The wall fixing is made of aluminum alloy covered with a white color paint. 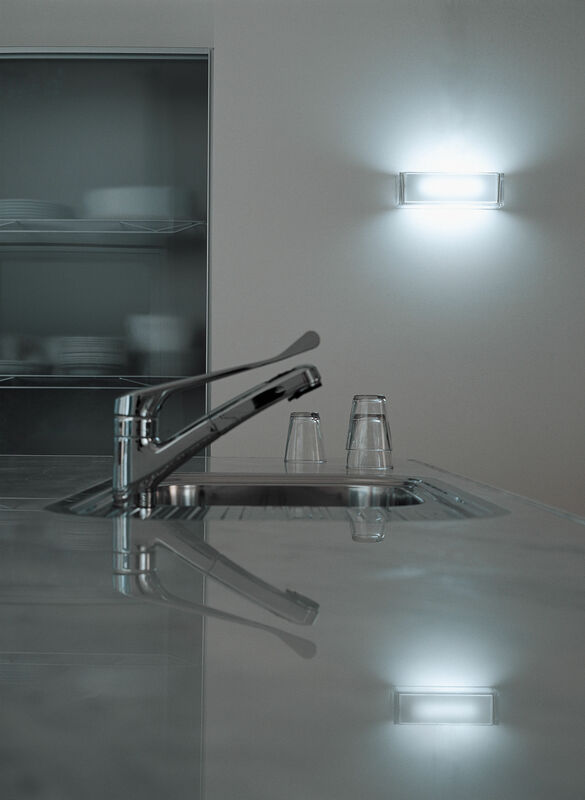 This wall lamp will bring a very contemporary style to your interior. Size: Height 9.5 cm / Length 30.5 cm / Depth 9 cm.